This Fel-Pro oil pan gasket is for use with a variety of TF/X-96 cast blocks as well as the early and late TFS and AJPE forged 426 hemi blocks. These are the best gasket you can buy and are a steel shim core design to help prevent leaks and aid in durability...you can re-use them more often than a standard paper gasket and they don't leak. 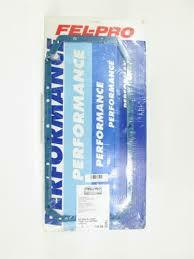 Call 402-597-3242 to order your Fel-Pro oil pan gaskets today.